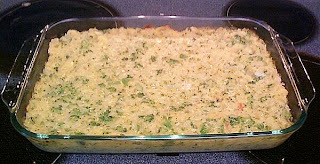 This recipe, from the USU extension office, uses 2 cups of the cheese sauce from my recipe for Magic Mix. This cream sauce master mix is located on this blog. Or you can substitute 2 cups of store bought cheese sauce if you'd like. Jan's tip: You can easily add cooked and shredded chicken breast to this recipe to make it a main dish. Broccoli Casserole is one of my favorite all time holiday dishes! Thanks for linking this recipe up to This Weeks Cravings "Christmas Dinners and Holiday Food Tradition"